Alcatel is back this year with its all new Alcatel One Touch Glory 918N. It is a budget friendly and entry level android smartphone that was previously known as Alcatel Blaze Glory 918N. The One Touch Glory 918N is a dual SIM handset that runs on Android 2.3 Gingerbread OS, sports a 3 megapixel camera and is powered by a 650Mhz processor. The Glory 918N has an SRP of only Php 5,699. One of these two phones is the ALCATEL ONE TOUCH GLORY 918N, first known as the Blaze Glory 918N. With this phone, mobile users can have almost all the features that they want in one dual sim android phone. “Now owning a high-quality Android Smartphone does not have to be expensive anymore with ALCATEL ONE TOUCH GLORY 918N.” – Darren Sy, distributor of ALCATEL ONE TOUCH phones in the Philippines. 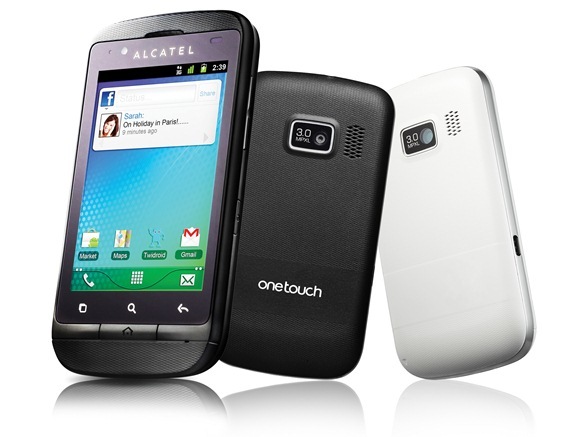 Like I said earlier, the Alcatel One Touch Glory 918N price is Php 5,699. But the actual price in your local stores or dealers might be slightly higher or lower. Sony Xperia S, Xperia P and Xperai U Price and Release in Philippines announced!